It’s easy to become a Christian. Get saved, go to church, wait for heaven. It’s easy, until you actually attempt to walk in the Spirit, fulfilling the words of Spirit that wage war against your flesh. Love my enemy? Pray for those who persecute me!!? Who of us has not wanted to skip highlighting that one in our Bibles? We love to get our yellow markers out for the verses that tell us how loved WE are by God, but these ones are harder to accept, let alone apply. It makes little sense to our eyes of flesh when we see these words, but coming from Jesus, we know they are not mere red letters on a page, they are words of Spirit and life (John 6:63). And so, we need his Spirit to accept them. The apostle Paul, a saved and deeply spiritual man, outlined for our benefit the battle with sin he endured. Through it, he came to understand that within his flesh, or sin nature, nothing good resided there. (Ro 7:18) Paul did not stay in the infancy stage of his Christian life enjoying the bliss of salvation, he pressed on to maturity to know the suffering of Christ. He learned this through the battle of flesh and Spirit. Through this, Paul concluded it was impossible to please God or have fellowship with him in the flesh (Ro 8:8). What a wretched condition to love God and seek to please him, but fail time after time. Love your enemies? Try it in the flesh and you will know how far from God you really are. An authentic Christian life is not easy. It is the very real struggle of flesh and Spirit battling it out in our members. Proverbs 3:5 admonishes us to “trust in the Lord with all your heart, and do not lean on your own understanding.” Yes, obey –even when it makes no sense to your flesh. Loving our enemies is such a daunting task. Our flesh resists it, our Spirit knows we are to obey. A battle ensues. What makes sense to the flesh is in opposition to God. And so, in Paul’s raw exposure of the battle, he offers the solution of how to win the war. What does this mean to “walk by the Spirit?” Is it to be continually in a love fest with the Lord overflowing with bliss? Oh that it were! But notice what Paul shares about this after he outlines the struggle of flesh and Spirit for us. We have an obligation. It is to put to death the misdeeds of our flesh. One of which is a sinful inclination to withhold love from our enemies. Our flesh is opposed to giving them anything good. It is impossible to do this without God’s help. And so, how do we love them? How do we pray for them? Oh Jesus, help! The letter to the Hebrews outlines the priestly role of Jesus Christ who has entered the Most Holy Place with his own blood, in fact, the blood of God (Heb 9:12, Acts 20:28). And by this blood, we were invited into the New Covenant of which he is our mediator. The righteous blood of Jesus purified us to stand before the throne of God with confidence (Heb 10:19-22) And it is there, in that confidence that we trust the promise Jesus made at John 15:16 that what we ask in his name it will be given. To utter a prayer simply adding “in Jesus’ name” is not a magic formula however. It is the assured expectation from the prayer of intercession in which we become aware that we are not the ones praying. For in his position as High Priest, Hebrews 7:25 states that he is always alive and interceding for us. When he became the mediator of the New Covenant, we were invited to pray in his will and not our own. As the body of Christ here on earth, we became the temple in which his Spirit dwells. The Spirit is always alive and interceding through us. If you’ve ever had the experience of being awakened in the middle of the night to pray and yet not know why or for whom, you understand the meaning of an aspect of walking in the Spirit. To groan and search in intercession under a burden not even knowing why is not the pleasant experience we seek in prayer, but it comes upon us like an unexpected wind. Our obedience is simply to remain in prayer waiting for a breakthrough. When we are not given the why or the who but only the burden, it comes out as “the groans that words can not express” for if we knew what to pray, we’d just say it wouldn’t we? But the Spirit-led prayer is the way in which Jesus intercedes on behalf of the saints. Without even realizing it, sometimes we pray for our enemies or those opposing other believers. When we faithfully avail ourselves to his work, relief comes when we become aware of the power flowing through us and out of us knowing that something or someone is being loosed in heaven (Matt 18:18). It’s a wonderful shared blessing when the Spirit reveals who it is we’ve been interceding for as we wait to see how he carries it out in this realm. When that person tells you how recently some “coincidence” occurred that solved a problem they’d been dealing with, our expressions of “praise God!” are most sincere. 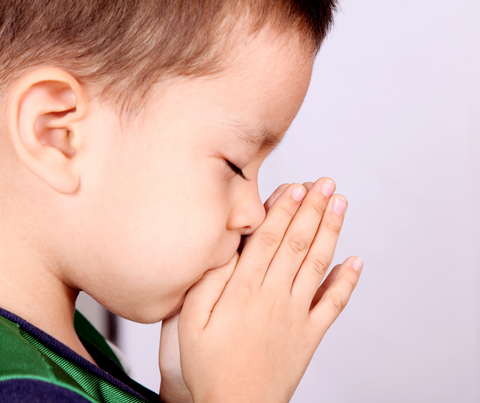 It’s no longer a praise for their “good fortune” in the happy coincidence, it is in the very real understanding that God had it planned for them and heard the cries of their heart in advance, but before he would pour out the blessing, he invited someone here on earth to speak it into existence through prayer. For everything that is good is created from his word, not our own. He invites us to intercession, he invites us into his divine nature and purpose. So we see that the Spirit is capable of praying blessings through us. As our flesh resists loving our enemies, do you see how it is that we could pray for them? The obligation is not so much “pray for your enemies” as it is not to obey our sinful nature and live according to it. (Ro 8:12) We obey the Spirit’s lead. When faced with the very real and very difficult task of loving those whom your flesh resists, we are not obligated to listen to the desires of that flesh–we are under command to live in the Spirit. Too often the concept of being “Spirit-filled” has been reduced to the pleasantries of worship. While prayers of adoration and corporate communion with the saints is ordained by God and necessary for our joy and refreshment, the suffering and burden that comes with the alignment of our wills to God’s is also part of the Spirit-filled life. So God asks us to “love our enemies, do good to those who hate us, bless those who curse us, pray for those who abuse us.” Is he asking us to be doormats? What is God’s goal in this? It remains as in all things, “to conform us into the likeness of his son.” This is why we were called in the first place (Ro 8:29). Jesus, the firstborn among many brothers, walked perfectly by conforming his flesh to that of the Spirit. Paul also “pummeled his body and led it as a slave.” (1 Co 9:27) Yes, we DO have an obligation. It’s painfully stated as our assignment to put to death the misdeeds of our own sinful nature. It is bliss to have the revelation that we belong to Christ having been adopted as children of God. Our spirit testifies with his and we cry out “Abba Father!” It is good to belong! But what kind of Spirit did we receive? The same Spirit of adoption is not a spirit of fear! Fear makes us retreat from an enemy. Fear makes us protect our own. Look now at your High Priest. He knows your fears, your situations and your sufferings. You have taken comfort in that understanding. But the pain is still there, causing your flesh to cry out for relief to be removed from this enemy. Now look again at Jesus. He was enthroned in the heavens before coming to our earth. He looked down from that vantage point knowing that he was about to enter a hostile environment as a helpless baby, dependent upon sinful humans. He knew so well the suffering he would endure at the cross that he sweat drops of blood asking the cup of his affliction to pass if there were any other way. There was no other way. So, FEARLESSLY he came to earth. FEARLESSLY he presented himself to those he knew would one day spit in his face and nail his hands. He didn’t retreat. He faced the greatest enemy of those he loved. He faced death for all of us. He was moved by love, not fear. Perfect love had cast out fear. (1 John 4:18) And this is the same Spirit we received. And this is the Spirit praying for our enemies. We do suffer. Maybe not at a literal cross, but by putting to death our own sinful nature. The nature that fears the enemy, the nature that retreats, the nature that refuses to bless, love or pray for those who oppose us. 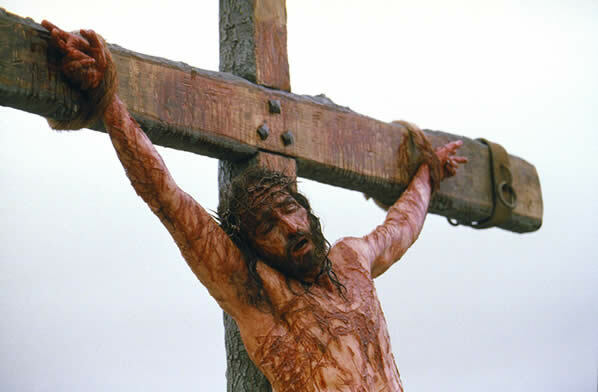 Our Lord died for us while we were yet his enemies (Ro 5:8-10), he asks us now to do the same. Oh God, help us! And so, given his Spirit, we are commanded to love our enemies. We come before him, acknowledging our sin—the reluctance of our flesh to love and to bless. And we ask for a Helper. God has given us his Spirit, not so we can separate ourselves from our enemies, but to enable us to love them and thereby reflect his glory. “I don’t need this!” Who hasn’t blurted that out in some form or another when faced with a hardship? Everything was going just fine until THIS came along. If it would just go away, all would be blessed, or so we think. We all encounter opposition: financial burdens, physical disabilities, difficult people in our lives, and recurring negative habits of our own. Somethings we may have a measure of control over, other things simply must be endured. When Moses was first called to task, his immediate response was to talk to God about his own imperfection. He admitted he was not a good speaker and questioned God’s choice to make him a spokesman on behalf of Israel. Though the Lord promised He would help by including Aaron, a perplexing character trait of God is revealed in the passage. God MADE Moses to be slow of speech and tongue and yet in this God-given imperfection, he was called to do a great work. If God needed a spokesman, why didn’t He simply create a radio announcer type of fellow and use him? Why Moses? Furthermore, as Moses and Aaron went forth to Pharaoh they encountered opposition. If God wanted Pharaoh to “let His people go,” don’t you think He would’ve paved the way and made it simpler for poor stuttering Moses? God had not blessed his task with an immediate submission on Pharaoh’s part, to the contrary the account accredited God Himself as the one who hardened Pharaoh’s heart (Exodus 10:20)! Note how God used the opposition in the case of Moses. Moses showed fine character in leaving Pharaoh the honor of setting aside time to pray for him and his officials. Do we consider it an honor to pray for those who oppose us? And look at the result. God heard and sent the relief Moses prayed for on behalf of Pharaoh. Though Pharaoh’s heart was unchanged, what do you suppose this did for Moses’ faith? One answered prayer, two responses. Another plague, another prayer. This time we see Pharaoh having some faith in what the prayers of Moses can accomplish. He even admits his sin. Yet when the hail ends, Pharaoh’s hard heart is once again revealed but Moses continues to have faith in God. Do you suppose he was perplexed at this point? Do you suppose Moses wondered if his efforts with Pharaoh were a waste of time? Do you ever wonder if he got weary praying for this obstinate man’s heart? Plague after plague, prayer after prayer, the story was played out in Exodus and in the hearts of Moses and Pharaoh. Moses was even told by God that Pharaoh would refuse his efforts. That is disheartening, especially for someone like Moses who wasn’t exactly custom-made for preaching in the first place. But he was also given wisdom as to why. This is key. In James chapter one where we are admonished to find joy in our trials, it also encourages that if we lack wisdom, we ought to ask God (James 1:2-5). Moses was a man like us, I have no doubt he had frustrations in this calling God gave him. He must’ve sought God many times before he understood it wasn’t just about him and Pharaoh’s stand-off, it was greater than that. It was that God may be glorified in Egypt. And through this, God created out of humble Moses a new man, a leader. As if the opposition of Pharaoh and his officials were not enough, even the people whom Moses was defending and rescuing began to turn on him. Had Moses not sought God’s wisdom and understood the greater purpose, he might have given up his leadership role, which was not about glorifying Moses, but in leading the ones being rescued to glorify God! Moses knew the One who called him. It is fitting that Moses was not a born leader when he was called. There’s no bravado here. His faith is evident in the face of this opposition from pursuer and rescued. He’s against what looks impossible and hopeless and he knows the wonders he performed earlier were not of himself but of God. He has nothing left to rely on but faith in this same God who called him in his imperfection and that is why he could say to this imperfect people “stand firm and you will see the deliverance the Lord will bring you today.” Without having all the answers and the map laid out as to how that would take place, he trusted in God’s deliverance. It looked hopeless, but Moses had learned to cry out in prayer and also learned to listen and obey. I chuckle at how this might’ve been said in modern terms.”Stop praying already, I heard ya! Now MOVE IT! Don’t argue, I know it sounds silly, but stand there and hold up this stick!” Sometimes we have to be against an approaching army and the sea before we’ll stop arguing with God and do the uncommon thing He advises. Moses could’ve gone back to the fleshly way he responded when God first began to dialogue with him. He could’ve brought up all his imperfections or pointed out the sins of these people grumbling against him when they ought to be thanking him. He could’ve thrown up his hands and said, “impossible!” He could’ve cursed at God and yelled, “a stick?! That’s your answer?! Hold up a stick? !” But I believe it was through the trials and opposition he incurred with Pharaoh that Moses became the man God knew from the start he would be…despite what Moses thought of himself. And what of God? We all know the story don’t we? Did He show His power to all of Egypt and His people Israel also? The exodus is well-known right down to us, those who believe and those whose hearts are hardened. We still know the story. May God be glorified. Jesus admitted that in this life we too would have trouble, and the Bible speaks often of human suffering as well as persecution, so we shouldn’t be surprised. But what’s the point? Why? Can anything good come from trials, suffering or opposition? We come to God when we’re at the end of ourselves. Often it’s those trials that push us to the edge where we can no longer place blame on anyone else or the circumstances, and we are left to examine our own faith in God’s promises and in the character He is desiring to birth in us. It’s not about the world around us then, it’s about the perfection God is creating in us. So, consider it all joy as you undergo trials. God isn’t finished with us yet. Just as Jesus learned obedience through the things he suffered here on earth, so we do also (Heb 5:8). Will we give up or see the glory of God? In a New Testament account, the disciples ask Jesus about the condition of a blind man wondering if his disability can be attributed to his own sin or that of his parents. Jesus’ reply echoes the statement Jehovah gave to Moses about his stuttering. Who makes a man deaf, mute or blind? Both these accounts agree that the Lord is the Author of Life, even life imperfect. Our disabilities were written into our stories. And just as Moses and Aaron went to confront the opposition of Pharaoh, the blind man was interrogated and opposed by the religious leaders of his day. Isaiah was sent to preach and within the same breath told no one would listen to him (Is 6:9-13)! It was decided upon in his mother’s womb that Jeremiah would be sent as a prophet to Judah and no one listened after 23 years of proclaiming the words God gave him (Jer 25:3). The blind man, Pharaoh, Isaiah, Jeremiah, and the captivity of Israel. All were written into the story. And what about Peter’s denial of Christ? The betrayer Judas? And Christ’s death on a cross itself. All written in advance. Trials, suffering, opposition…..of God? Who hardened Pharaoh’s heart? Who makes the blind and the deaf? We can’t blame our Pharaohs. We can’t always blame the devil. Dare we blame God? When Jehovah called His people Israel as His witnesses, He did not say their testimony was to make converts, rather He declared that by giving a witness THEY would know, believe, and understand who He was (Isaiah 43:10). And yet, as many miracles as they witnessed, the Lord did not give them a mind to understand (Deut 29:2-6). And when many of that nation rejected the Messiah, even then in Paul’s anguished cries for their salvation, he was given wisdom of God’s sovereign choice as noted in Romans 9. He came to understand that a remnant of that nation were chosen by grace while some were given a spirit of stupor–similar to Pharaoh’s hardened heart. As written, they were warned within their own scrolls that understanding and wisdom would be sealed (Isaiah 29:9-12). No amount of reading would unlock it. Jesus himself quoted the scriptures that proved their fulfillment. Still it was hidden. Paul strove earnestly using the scrolls and his background as a Pharisee to reason with his brothers, yet they remained hardened while the elect received mercy and grace. Paul understood that wisdom is not found merely in the black and white letters found in ancient scrolls. Wisdom comes from the Spirit. God had a reason for hardening hearts back then, do you suppose He does now in whatever opposition we are facing? Paul also understood that the persecution against him was for the advancement of the kingdom. Could this be the case in our suffering too? His focus was continually on God’s glory rather than his own suffering. Could this be our attitude too? Wisdom from the Spirit revealed a purpose in the opposition God allowed. So how are you handling your opposition? Trust in God. These are not just words, they call us to the first necessary action. They call our own hearts to trust even when our feelings conflict with what it says. Our hearts are troubled. We hear the words that say “have faith” but dear children, let us not love with mere words but with action and in truth. The truth is, God loves and forgives you. The first action on your part is to trust this. No matter how low or inadequate you may feel, trust in faith that God is with you always. Trust that and begin your prayers establishing that confidence. When our hearts are troubled, that is the time to trust in God. We begin by trusting that God is greater than our hearts. Therefore, do not let your heart be troubled, trust in God. Trust that your salvation and righteous standing before the throne is based on what Jesus already did for you at the cross so that you may enter confidently and receive mercy and find grace to help you in your time of need. As you are refreshed and built up in faith, trust his love and furthermore, trust his calling in your life. He has plans for you. When the nudge comes, do not put out the fire. Take it to action. This then is how we know that we belong to the truth and set our hearts at rest in his presence. Otherwise, your relationship with God becomes stale, for faith without works is dead. Again, dear children, let us not love with words or tongue but with actions and in truth. This then is how we know that we belong to the truth, and how we set our hearts at rest in his presence whenever our hearts condemn us. For God is greater than our hearts, and he knows everything.